Had he lived one hundred and fifty years ago, Bradford Loomis may have been riding rail cars out west or sailing down the Mississippi on a paddle boat. Or maybe he would have claimed his stake in the flat lands of the Midwest. Perhaps he would have plied his hand on a ranch in Texas. Born in the Northwest in more modern times, Bradford has lived to tell a different, but no less exciting, tale. Through years of choir, band and orchestra he discovered a powerful kinship to the songs and stories of those bygone eras as they helped show him a meaningful way to tell his story. Upon learning recently that his father was diagnosed with Early Onset Alzheimer’s disease, Bradford starting laying the ground work for this new project. Bravery and the Bell, (released March 24th 2017) is about legacy, both the lineage we are born into and that which we pass on. Whether burdened or buoyed by our generational inheritance, this album confronts the drudgery of simply surviving and sounds a call to stand up to the things that stand in the way of us truly passionately pursuing that which we were made to be. 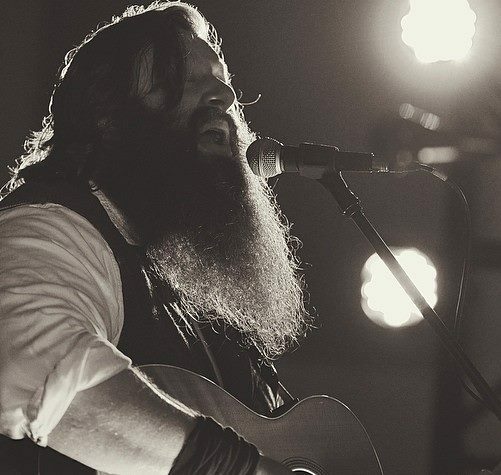 Bradford’s influences include Chris Stapleton, the Swell Season, Johnny Cash T-Bone Burnett.